As a water resource engineer and planner, I have over the years become more aware of the vital need for we civil engineers to be able to adapt and modify our professional practices to account for Sustainability, to more effectively deal with 21st Century water resource challenges. A civil engineer’s historical role as a behind-the-scenes designer and engineer, without interacting and collaborating with others, i.e. under a silo approach, is now commonly accepted as old-school thinking that we as engineers must move beyond. Newly-built infrastructure that supports our quality of life must now reflect the concepts of integration and multiple benefits, in order to be cost effective. With regards to establishing water infrastructure, one must now consider all the available water resources that integrate water supply, water quality, recycled water, storm water, water use efficiency, land use, energy, climate change, habitat, and disadvantaged community needs. In addition, and since most us are part of a watershed, a watershed systems approach should be part of the equation to better approach the problems we face. For example, a complete analysis of both water’s impact, and how water is impacted as it travels from the upper watershed forests to the downstream beaches and estuaries, will allow us to implement better approaches to sustainable water infrastructure, to reuse, recycle, and preserve our precious water supplies. I often hear it asked, “Isn’t this role of integration and working with others more of an upper management task better suited for those involved in policy and politics?” We might then get into an area that is often somewhat uncomfortable to some. During our time as civil engineering students, many of us were drawn to the technical issues involving math and science, and tended to work independently rather than in groups. Some of us were more introverted, and focused on solving problems in the most efficient and logical fashion, tending to avoid interaction with others unless necessary. Over the past few decades however, I am happy to report that many civil engineering schools are encouraging and teaching young engineers not just the process for solving problems, but about the merits of taking in the bigger picture and working in groups. Communications has become a major and necessary part of many engineering curriculums. As reflected in the ASCE Vision for Civil Engineering in 2025, civil engineers must aspire to be leaders in discussions and decision-shaping policy, as well as innovators and integrators. I know that this is often easier said than done. However, with practice and a willingness to try, new skills can be developed to allow one to rise and become a leader in the field. With these new skills come a better balance, and a more overall satisfaction with job performance and more enjoyment of one’s career. To assist us with this transition, tools are available. It is up to us to use them and apply them in our workplaces, with our clients, and with those we interact with. One of the most effective means of implementing Sustainability into infrastructure planning and development is the use of the EnvisionTM infrastructure rating system. This tool was established in 2010 by a non-profit organization called the Institute for Sustainable Infrastructure (ISI), by three founding organizations, ASCE, American Public Works Association (APWA), and the American Council of Engineering Companies (ACEC). Similar to LEED, which is a sustainability rating system predominantly for buildings under the U.S. Green Building Council, Envision was established to serve as a sustainability rating system for infrastructure that supports our communities. It is supported by a wide array of respected organizations involved in infrastructure design, construction, and operation. Envision also allows individuals to increase the level of personal impact they can have on a project’s sustainability—and in the process, increase their value not only to their organization but to the broader community as well. Individuals also have the opportunity, once they have been trained in the use of Envision, to be credentialed by ISI as an Envision Sustainability Professional (ENV SP), an indication of their commitment to excellence in their profession. Individuals who have successfully completed the Envision credential training course and exam, demonstrate their expertise with the Envision Sustainability Professional (ENV SP) designation. As the chair of the ASCE Region 9 Sustainability Committee, I have sought to be a messenger and advocate for Envision, up and down the State; not merely as a means to evaluate projects, but as an education tool to help civil engineers at all levels of their career see things anew. To deal with climate change and prolonged drought, particularly in California, the new normal must be adapted to with an eye on sustainability. This should no longer be a political issue or up for debate! California must now become a leader in adaptation. As civil engineers in this great State, we have a responsibility to deal with this effectively, and to apply it to our civil engineering design. Fortunately, ASCE is a strong partner in this field not just by their support of ISI, but for its support of the principles of sustainability going back to the early 2000s. I therefore invite you to become involved in your local sustainability committee through your ASCE Branch, YMF or Section. Tours, speaker events, and activities are available to introduce you to this field. I also invite you to attend the International Conference on Sustainable Infrastructure to be held in New York City from October 26 to 28, 2017, and also to the ASCE Annual Convention in New Orleans, Louisiana from October 8 to 11, 2017, where Envision training is available, and themes on sustainability will be major part of the programs. Finally, consider the importance of this credential wherein even our 2016-2017 ASCE Society Director Norma Jean Mattei, our ASCE Society Executive Director, Tom Smith, and our new incoming ASCE Society President, Kristina Swallow, have all taken the time to become certified and have their ENV SP credential listed alongside their PE credential. You can watch a short video of Norma Jean Mattei discussing her experience in taking the Envision training class held in conjunction with the 2017 California Infrastructure Symposium, here. https://www.youtube.com/watch?v=U4XBZOtH7BQ. Now is the time to become certified as ENV SP and to add this credential after your name! Go to www.sustainableinfrastructure.org to learn how to become an ENV SP. I am happy to introduce myself as the incoming Chair of the Region 9 YMF Committee, and I look forward to continuing the great work performed by the outgoing Chair, Gidti Ludesirishoti, and the Region 9 YMF committee this past year. Hats off to you Gidti, and thank you for your excellent leadership! The Region 9 YMF committee comprises leaders from each Sections in Region 9 (San Diego, Los Angeles, San Francisco and Sacramento), and the committee meets regularly to update each other on multiple topics including: ongoing activities, communications with universities, ASCE strategic initiatives, and opportunities for collaboration. As you all are aware, ASCE membership provides many benefits and opportunities to its members in all the membership classifications (student, associate, member, fellow, etc.). Younger Members (members at and under the age of 35) are a significant part of ASCE, and many Sections and Branches have set up Younger Member Forums (YMFs) to encourage younger member involvement within each Region. During my seven years of experience with the YMF in Region 9, I have had countless opportunities to meet leaders from around the globe, and be a part of many impactful projects and initiatives that help the engineering community. I also travel a great deal for work, and I am fortunate to have a whole network of young professionals in many of the cities I travel to for projects. Our role in ASCE as Younger Members (YMs) is vital to the future of ASCE, and the Region 9 YMF committee’s goal is to help improve overall communications among younger members, and to promote collaboration. As Chair of the committee, I hope to help further these goals in Region 9. — Checklist of Best Practices for each Younger Member Group. — Serving as a resource for traveling/relocating YMs in the Region. It will take a village to make much of this work, and we are counting on Region 9 membership to help promote greater collaboration between the Younger Member groups and improve the sharing of resources, and the guide is intended to support those items. We plan to finalize this Guide in the coming year, distribute it to the members, and then publicize it during the upcoming large ASCE conferences. Additionally, the Committee plans to reach out to multiple Student Groups and promote formations of email address, website/social media link creation, and even officer position creation, to be able to reach out to YMF’s consistently. We plan to continue reaching out and promoting opportunities for students to transition into their careers as well as ASCE Associate Level membership. As we grow as professionals, let us continue to reach back and help the others around us as they come up, much like the professionals who have helped us. Whether you attend meetings every now and then, or are a Board Member of your local YMF (wearing multiple hats and taking on multiple projects), your input is important. Please do not hesitate to reach out to me if you have any additional ideas to help improve Region 9 YMFs. Get Ready for a Disaster! Have you been certified as a Safety Assessment Evaluator (SAP) yet? If you haven’t, then you’re not ready for a disaster. When thousands of homes and businesses have been damaged or destroyed by an earthquake somewhere in California you won’t be able to offer your engineering assistance. And you’ll want to. So let’s get you certified. It’s easy to get trained. The six-hour course is often FREE (or at a small charge for lunch and meeting room) and is provided in areas around the State periodically. The cert is good for FIVE years and then you can renew online… what could be simpler? To find a class in your area, check the training schedule at www.caloes.org and click on their Training Calendar. Look for an SAP Evaluator training class near you. If you don’t find a class in your area, send an email to me saying you’re interested and I’ll do my best to set one up near you if enough people are interested… dtaylor@outbackmaterials.com. 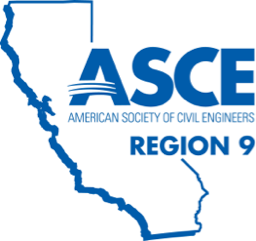 ASCE has posted the annual notice of elected position openings, and all ASCE members of Region 9 in good standing are invited to review the open positions and consider serving the membership in an elected position. One elected position on the Region 9 Board of Governors, for a member based in the San Diego Section, is included in this notice. Requirements for office and details on how to apply for the San Diego Section Region 9 Governor are listed below. For any questions, please contact the Chair of the Nominating Committee, Kenneth Rosenfield, P.E., Governor At-large, Region 9, at KRosenfield@LagunaHillsCA.gov. 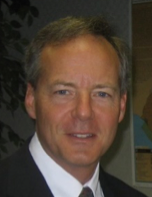 ASCE President-Elect: Voting Society member in good standing from any Geographic or Technical Region with prior service on the Board of Direction, or service as an Institute Representative to the Board of Direction between 2000 and 2005. This is a three-year term serving one-year each as President-elect, President and Past President. For information, contact Patricia Jones, ASCE, pjones@asce.org. 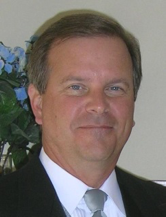 ASCE Technical Region Director: Society member in good standing and shall have served as a voting member on an Institute Board of Governors. Any person who was inducted as Society President-elect or Vice President is ineligible for re-election as a Technical Region Director. All other former Board of Direction members who were nominated by Districts are eligible to serve. This is a three-year term. For information, contact Jim Rossberg, ASCE, jrossberg@asce.org. Region 9 Governor from the San Diego Section: Society member in good standing, an Address of Record within the Region being represented, and prior service as a Section or Branch officer, member of a Section or Branch committee, or as a member of a Society-level Committee. This is a three-year term. It is encouraged that nominees also have prior service as a Branch, Section or Technical Group officer, member of a Section or Branch committee, or a member of a Society-level Committee and has demonstrated leadership skills. Contact the Chair of the Nominating Committee, Kenneth Rosenfield, P.E., Governor At-large, Region 9, at KRosenfield@LagunaHillsCA.gov. Nominees will be requested to attend an interview before the Region 9 Board of Governors on January 13, 2018, during the Multi-Region Leadership Conference in Las Vegas, Nevada. ASCE Region 9 membership is following up on its May 2017 Legislative Fly-In Event, with a Drive-In Week where ASCE members in Region 9 will visit their Legislators in their District offices. 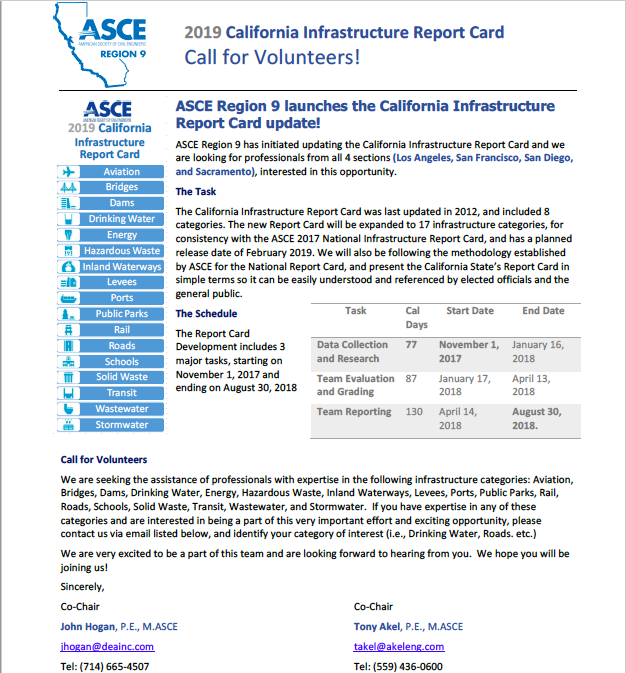 During the week of October 23-27, ASCE members in Region 9 are encouraged to schedule two visits with their Assembly Members and State Senators, to reinforce ASCE’s message that “Infrastructure Pays”, explain our core values and policy goals, and make what we hope will be long lasting inter-personal connections, to engage with legislative decision-makers on issues that affect civil engineers and the built environment. The selected dates for the Drive-In are October 23-27. However, if this time frame does not fit you schedule, we would still encourage you to make appointments that match your schedule and that of your legislators during the month of October. ASCE will provide talking points and additional guidance, including possibly scheduling a webinar to discuss the Drive-In, during the month of October. Please contact Richard Markuson, ASCE Region 9 Legislative Advocate, richard@pacificadvocacygroup.com, if you have any questions regarding the 2017 ASCE Region 9 Drive-In.